A gift basket is a great way to say all of the things you want to say, but just don't know where to begin. Whether you want to thank a loyal client, tell someone how much you love them, or congratulate a friend or colleague on a job well done, Midtown Market's unique, custom gift baskets get the job done. 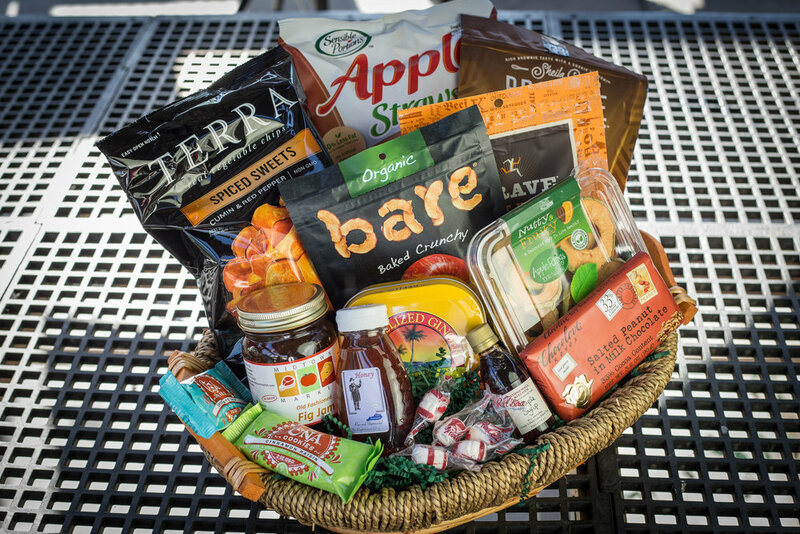 Our gift baskets are filled with items that have been carefully chosen based on their high quality and good taste. Part of the fun of being a small, locally owned retailer is that we are able to decide exactly what products we want to carry. That means our shelves are lined with locally roasted coffees, local honey and a variety of fresh produce and meats from local producers, as well. 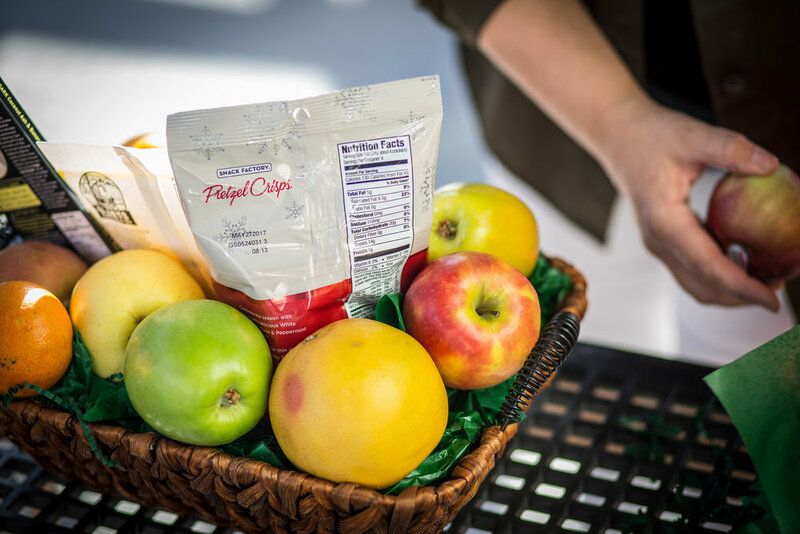 That same attention to detail goes into every element of creating the region’s best gift baskets. We truly have something for everyone you have in mind. There’s a national holiday for just about every day of the year these days. And we’ve got just about anything you’d need to celebrate no matter what the season. We carry a wide selection of gourmet foods, such as fruits, nuts and candy, throughout the year. We can create something unique to the person for whom you’re buying or we can select something classic, such as a fruit and nut basket or a fruit and candy basket. Wanna let clients know how much you appreciate their business? Congratulate a business on their first year in business? Then our corporate gift baskets are a great place to start. 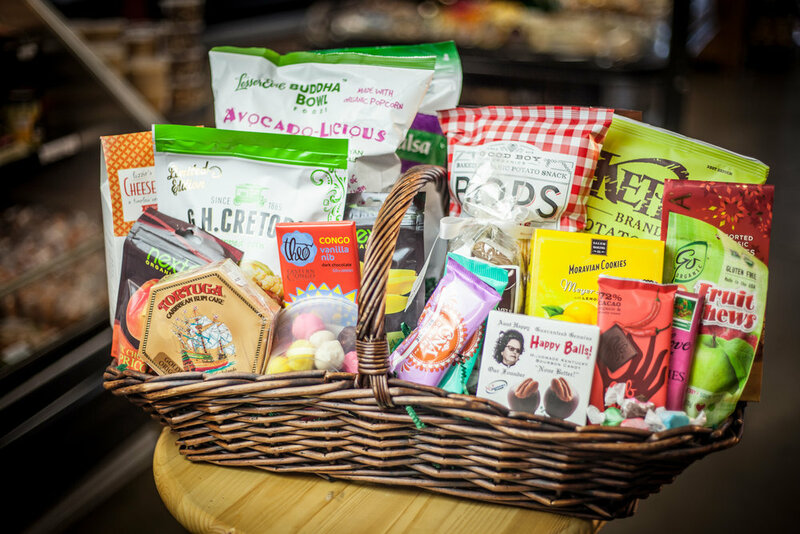 We’ll fill the basket with a variety of organic and all-natural products, gourmet meats and cheeses, and other specialty items. In addition to these goodies, we’re happy to include your business card and corporate branding materials you may want to add to the mix. You don’t have to have a reason to tell someone you’re thinking of him or her. We will create custom gift baskets centered around the various hobbies, tastes and delights of anyone on your list. No matter what the occasion our staff will help you create a unique gift basket that lets someone you know how special they are to you. Perfect for birthdays, anniversaries, gratitude and more. Finding a gift to please all palettes is nearly impossible. 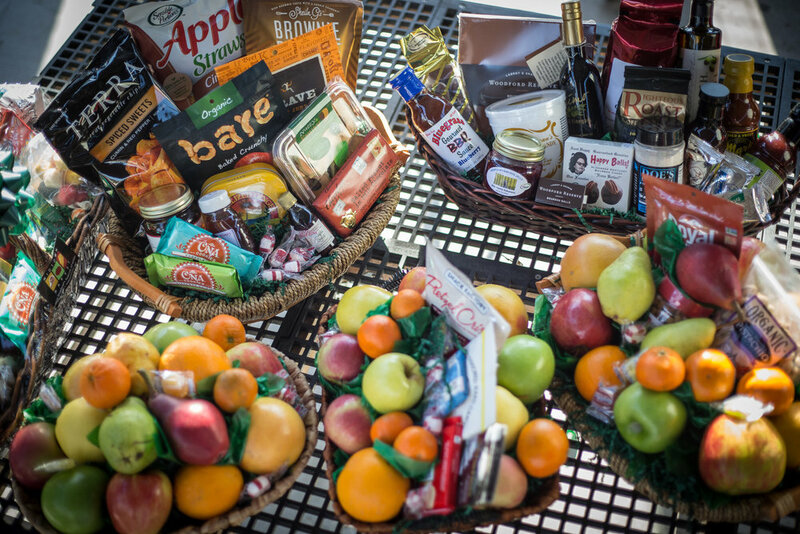 That’s why our specialty themed gift baskets are such a treat for both the giver and the receiver. 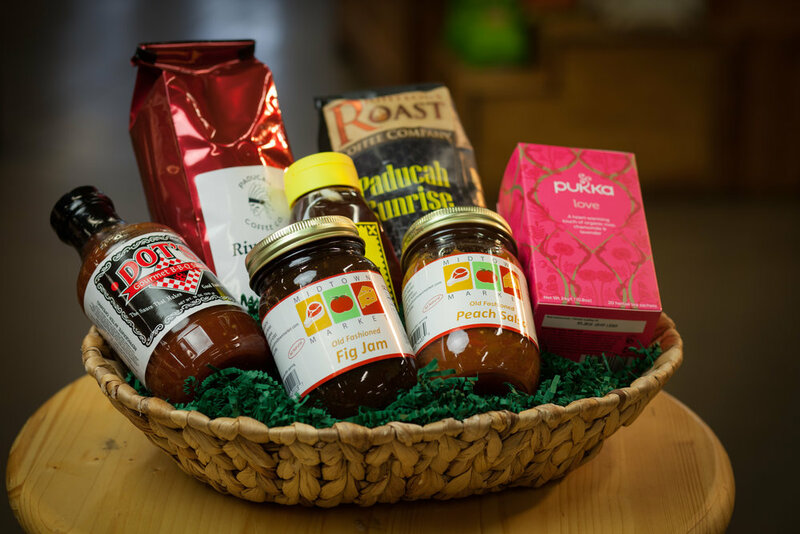 We’ll create customized gift baskets tailored to represent almost any theme, including Kentucky Proud items, gluten-free snacks, or even something for the coffee aficionados on your list. Themed gift baskets are a great way to welcome someone new to the neighborhood or to say Happy Birthday to someone you want to treat on their special day. Need help selecting items or choosing a theme for your gift basket? Want to customize your selections? Consult with our Gourmet Market Manager, Kim Thompson, for creative ideas and clever suggestions on the best gift baskets for those special people in your life no matter what the occasion. Gift Baskets start at $35.